Billy came to me a just after his first birthday for his first photoshoot. I love it when they are this age as he had just started walking a couple of days before so was a little unsure on his legs. It made for some cute photographs and a lot of chasing about. We had a great time letting him explore and play. 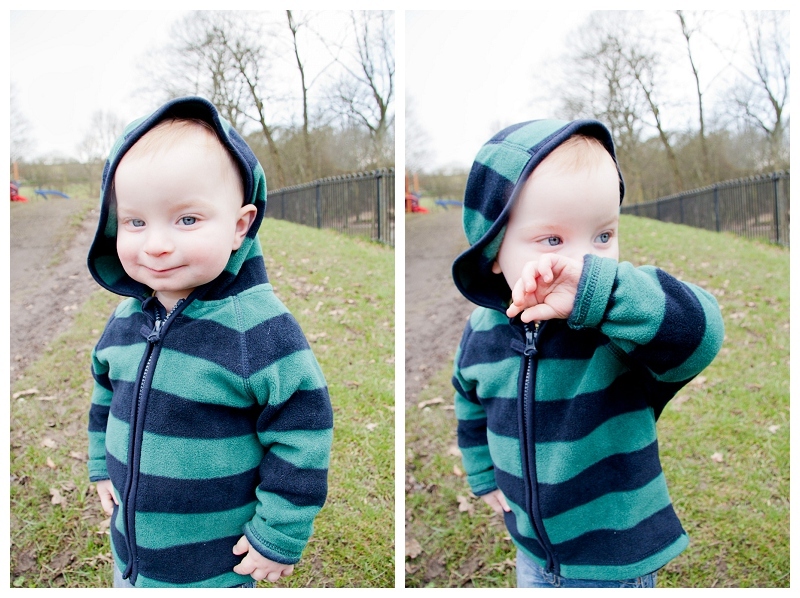 With his new found ability to get around we took him to Shibden Park, Halifax to get some natural shots. We had a lovely walk across the park taking pictures as we went, then we headed to the playground. This is always a great place to photograph children as they get involved with the various activities and forget about the camera.